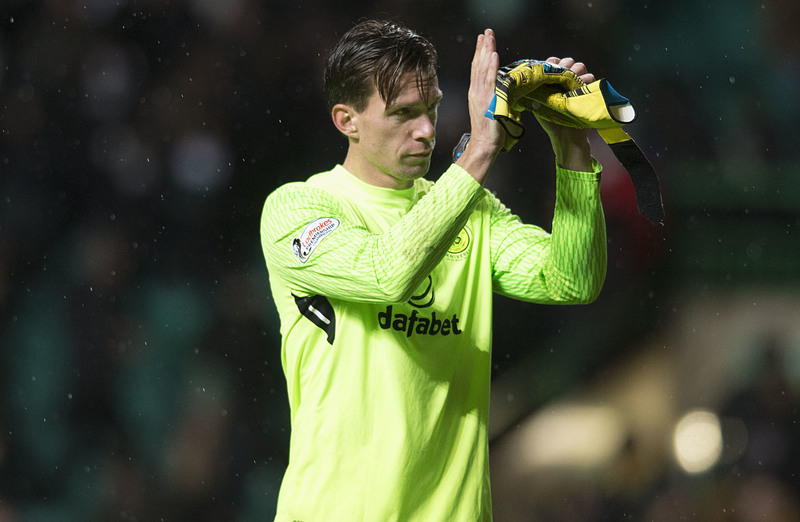 CELTIC goalkeeper Dorus de Vries admits the scars from his 7-0 Barcelona battering have yet to “heal up”. The Dutchman’s first game in Europe for the Hoops after signing from Nottingham Forest was a Champions League fixture at the Nou Camp in September, 2016. A star-studded Barca side inflicted on the Scottish champions their heaviest-ever European defeat with Lionel Messi helping himself to a hat-trick, Luis Suarez a double and goals from Neymar and Andres Iniesta. Craig Gordon took over as number one a couple of weeks later but De Vries came back into the side last month after the Scotland keeper sustained a long-term knee injury which will keep him out for up to 12 weeks. The 37-year-old is set to make only his second appearance for Celtic in Europe on Thursday week when Russian side Zenit St Peterburg travel to Glasgow for the first leg of their Europa League clash. Speaking at the club’s Lennoxtown training complex, where he was helping publicise a new two-year sponsorship by IT and communications group company Exsel Group of the Celtic Women’s team, De Vries recalled the painful night in Spain. “I think that will take a couple of years to heal up, that one, because I am a winner, I want to win,” he said. “My daily routine is to make sure I perform every single day. “That’s how I approach my job and it is still the sorest point in terms of I hate losing, I can’t stand it. “It doesn’t matter whether it is Barcelona or Partick Thistle, you want to win. Simple. “It was a disappointing night in terms of the result, of course. It was really hard to take on board that you conceded goals, even if you concede one it is always hard to take as a goalkeeper because you don’t want to concede any goals. “That (Barca) team on the night were out there as one of the best teams in the world, if not the best team in the world that night and everything just went for them. The former ADO Den Haag, Dunfermline and Wolves stopper, who worked under Hoops boss Brendan Rodgers at Swansea, thought about moving from Celtic to get first-team football. “You are always thinking about possibilities because for players, playing is the most important thing,” he said. “That counts for me as a goalkeeper as well. “Saying that, I am really happy here. Of course you are looking for game time but it is a great club to be involved in. “But it’s been great playing to be fair, that’s what you train for as a player.